Not only do we provide you with amazing sound throughout your home, but we also bring that audio outdoors so you can relax by the pool while enjoying all your favorite tunes. And yeah, there's an app for that so you are always in control of your music. 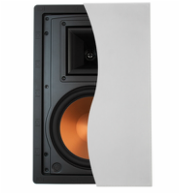 While traditional speakers sound great, they also take up a lot of room in your living space. Putting speakers in the wall is a great way to get back your floor space while still enjoying high quality sound throughout your home. They look great and can even be painted to match your wall color. Speakers that are installed in the ceiling provide a great way for sound to travel all around the room. 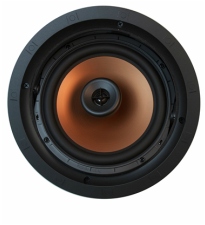 In particular we like to put these in bedrooms, bathrooms, kitchens, and we also use them as the rear speakers in a surround sound system. It's no wonder these are the best selling and most value added product that we offer. Finish off the best sounding system with an equally great looking setup with a custom rack full of all your gear. 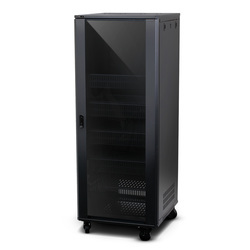 Putting your equipment in a rack will provide adequate airflow to keep components from overheating as well as provide a central location for all of your AV Receivers, Amplifiers, Cable box, BluRay players, Streaming players, etc.